Ok so someone had to be first, so why not me! The original app I wanted to make didnt pan out since the sim is broken in a few (many) places. I dont expect that anyone will ever run this app but hey I had to do it ;) Just don't laugh too hard at my Adobe ActionScript UI skills, it's my first day! The app starts out on the WAP site since some times the full site crashes the browser control (it still has some work to be done by RIM). Also special thanks to NikkiSoft and BellShare for some motivational assitance. Yay! now we can test the app switching features! Nice work Shao! I ended up making a browser (since the sim doesn't have one lol). So very basic but it works. Back and forward with history. This is going to be a fun device. Would you mind uploading this? I'd like to see how well RIM's implementation of webkit works (and while i can use the dev tools, I don't know anything about programming), and I somehow botched installing the crackberry launcher and uninstalling doesn't fix it. Ha, nice job :) Funny how the api docs left out qnxstagewebview.... This weekend will be actionscript weekend for me, I have a lot of learning to do. I can upload it later today. 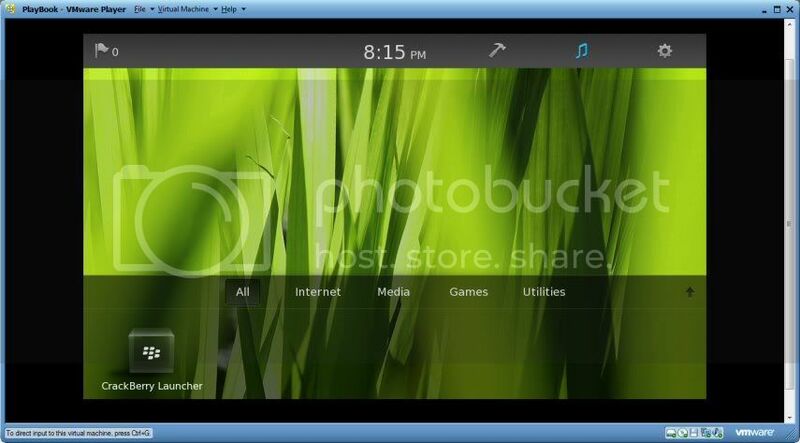 The WebKit engine on the PlayBook isn't completed yet so I wouldn't use it as a full-on test browser. Thank you that will help out a lot. but could you upload the .bar file please? 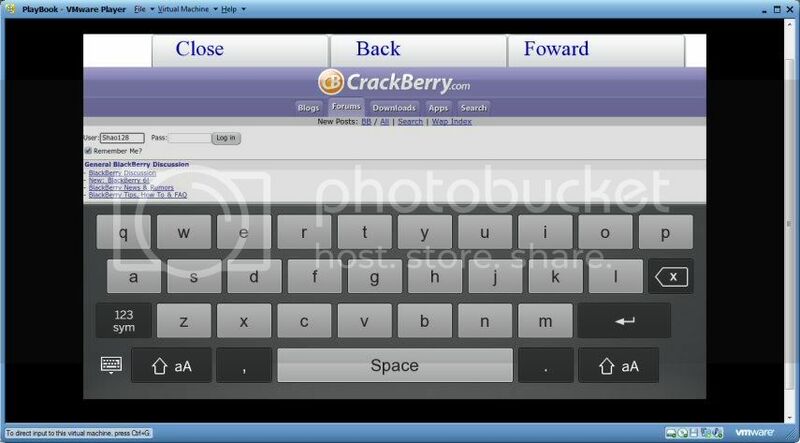 trying to compile and install the CrackBerry launcher works, but the all crashes on launch. I'm seeing the CB launcher start as well, but then immediately close/crash. Curious. EDIT: I'm seeing result::terminated after it launches the app. I have the -launchApp switch in the command. Regardless, I've seen it work on a colleagues VM and it's pretty nice. Going to enjoy the PlayBook. Odd. I noticed in the XML file that it has "Main" as the ID. If anything I think this may conflict with something else, but then it wouldn't work at all for anybody. Adobe has the Twitter Trends Sample App (link), but it has to be compiled. I'm trying to get the .bar file but Adobe Flash Builder is taking a while to download. how does one go about installing this launcher/app? Do you guys mind showing us how to install the launcher/browser? I'm new to all this and am a bit confused. I was able to get a Hello World app installed but I had to install it using Adobe Flash Builder. I was able to install this using AFB. Im actually posting this from the Playbook Simulator! how did you install with AFB? does it 'stay' installed? Well, it stays installed, but AFB isn't free link to AFB's installing guide. I prefer the command-line install myself, but it requires installing Java Dev Kit, Adobe AIR SDK, and the blackbery SDK (you'll have to do this anyways for AFB, though. after that you just need to extract the .bar file from the .fxp file (the .fxp is actually a .zip. just rename it to .zip to open it), then in command prompt run blackberry-deploy with the ip address of the simulator and the path to the bar file.